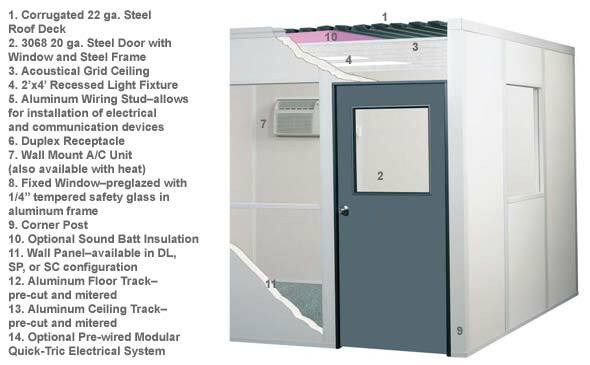 The 12'x12' 4-wall inplant office comes with standard 8' tall ceilings. Every modular office system comes with the Easyrack Advantage. Quick installation of electrical, telephone and computer wiring with the help of built-in Raceways.